Seasoned hospitality veteran, Rosa Mendoza-Friedheim joins the Greater Fort Lauderdale Convention & Visitors Bureau as the new Regional Director of Sales - Mid-Atlantic office, based in Alexandria, VA, beginning July 22. 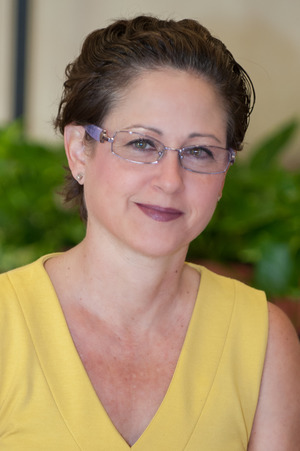 In her new position, Rosa will spearhead efforts to spread the "warmth and beauty" of Greater Fort Lauderdale to current and prospective Mid-Atlantic meeting planners, while focusing on bringing major business and groups to the Broward County Convention Center. For the last seven years, Rosa was consistently a top producing salesperson as the Director, Mid-Atlantic Sales for The Westin Diplomat Resort & Spa in Hollywood, based remotely in Washington, DC. Previous to that she worked for Hyatt Regency Century Plaza in LA, also based remotely. "We are delighted to welcome Rosa to the Greater Fort Lauderdale team," said Nicki E. Grossman, president of the Greater Fort Lauderdale Convention & Visitors Bureau. "Rosa&apos;s experience and knowledge of the Greater Fort Lauderdale area will be invaluable in this competitive environment as we continue to sell Greater Fort Lauderdale as one of the country&apos;s premier destinations for meetings and conventions. Additional past experience includes representing Hyatt Regency Miami, Turnberry Isle, and sales for PGI Destination Management, the Greater Miami CVB, and Carnival Cruise Lines. She owned her own travel agency, V&R Travel Inc.
For more information on Greater Fort Lauderdale, visit www.sunny.org/meetings.